Truck Camper Magazine readers reveal their favorite hide outs to escape old man winter and his dark, cold, and snowy tantrums. Don’t let your jacks frost. Follow the endless summer south. 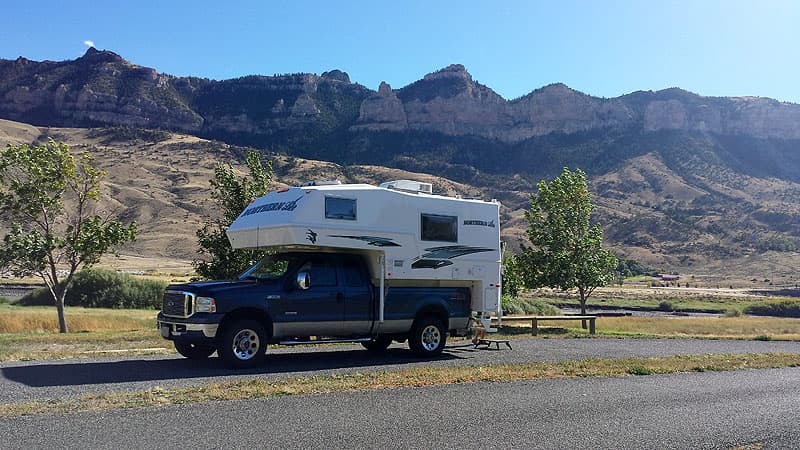 In February of 2014, we asked, “Would you snowbird in your truck camper?” for a Question of the Week. We wanted to know if our readers would consider spending an entire winter staying warm in the popular snowbird destinations; Florida, Texas, Arizona, southern California, Mexico, etc. This wasn’t a given as most snowbird folks have a towable or motorhome. Drive through the snowbird campgrounds in the aforementioned areas and you’ll see 99 towables and motorhomes for every truck camper. Most folks want the space if they’re going to be in one place. Well, 110 truck camping readers answered, “Heck yeah we snowbird, and how!” It was one of the biggest Question of the Week responses we’ve ever had, and one of the most passionate. It seems most folks hate the cold and dark (as we do) and can’t wait to drive south for the winter. 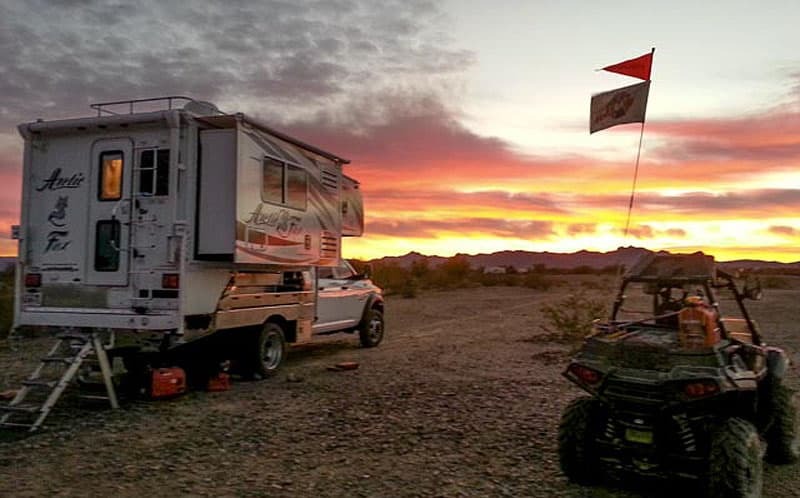 We stay at Scenic View RV Park in Quartzsite, Arizona, which is about $400 a month. Most of the time, weather permitting, we are outside. We ride ATVs, go geocaching, go plinking, and go to flea markets. Plinking is shooting guns for fun, not hunting. This whole area is a big desert, so we can ride our ATVs from the RV park to the wide open desert. We can also ride our ATV on the streets. We even ride the ATV to the grocery store, or to dinner. This area goes from about 3,000 people to about 300,000 plus in January and February. 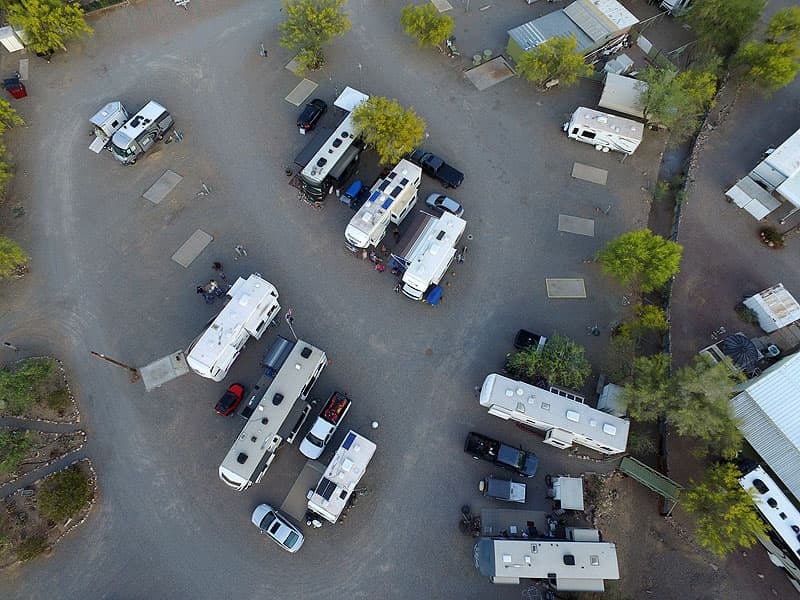 From what we’ve read, Quartzsite the largest gathering of RV dealers and swap meets in the United States. It’s been a bucket list destination for us since our first RV, which was a VW van, 37 years ago. We are really newbies. This is our second year of retirement. Being from the Olympic Peninsula, we just want to find sunshine in the winter. I go to Arizona for approximately five months; November through March. I initially went down there not knowing a thing about the place except for a friend saying that he stayed at Dome Rock for the free 14-day maximum. Dome Rock was perfect because I could ride the hills or ride into the buggy-friendly town.